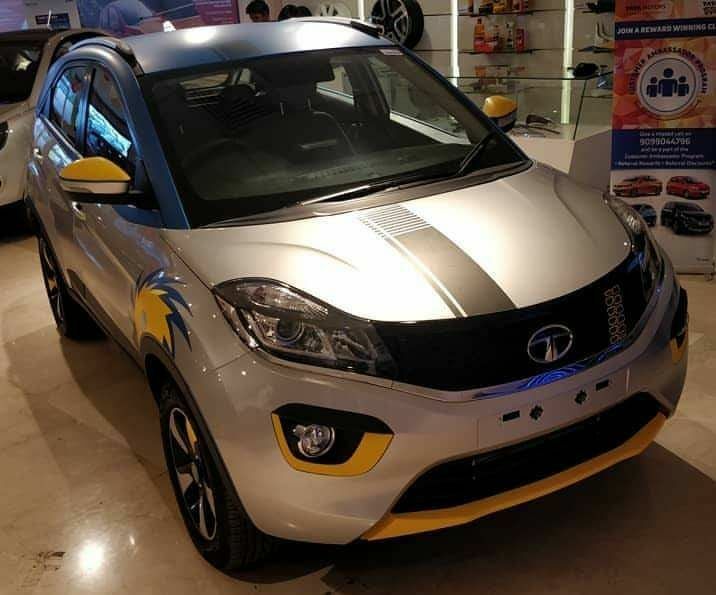 Tata Motors launched its most anticipated compact SUV, the Nexon at an introductory price of Rs 5.85 lakh for the Petrol variant, while the diesel starts from Rs 6.85 lakh (All Prices, Ex showroom, Delhi). 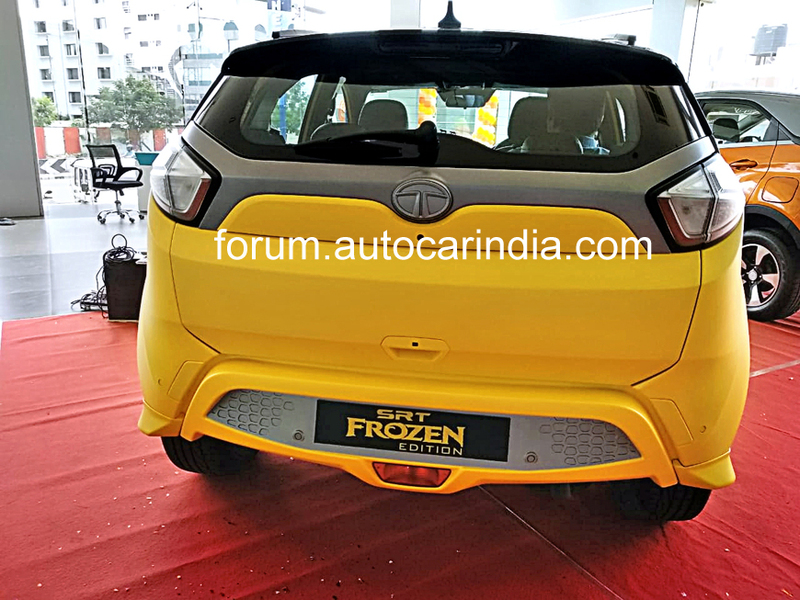 TATA – the leading Indian automobile brand is all-set to heat up the sub-compact SUV segment with their big launch Tata Nexon in India. 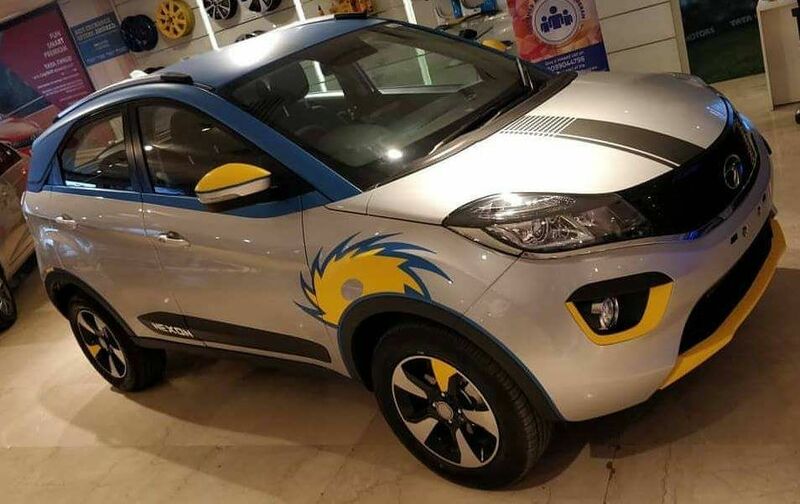 Recently, the company has officially flagged-off the first batch of their highly awaited compact SUV Tata Nexon from the Ranjangaon facility. 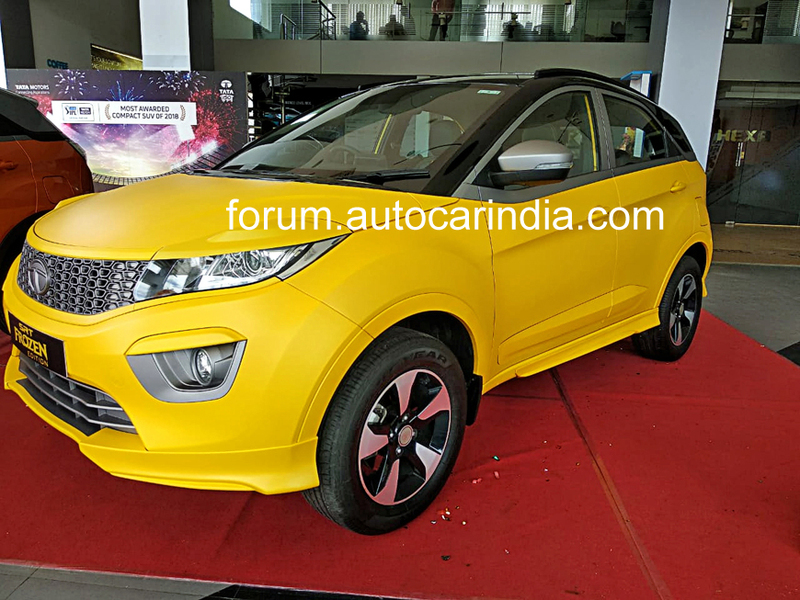 This is Tata’s fourth car based on their IMPACT design philosophy. The engineers at Tata have left no stones unturned while conceptualizing, designing and manufacturing the Nexon. 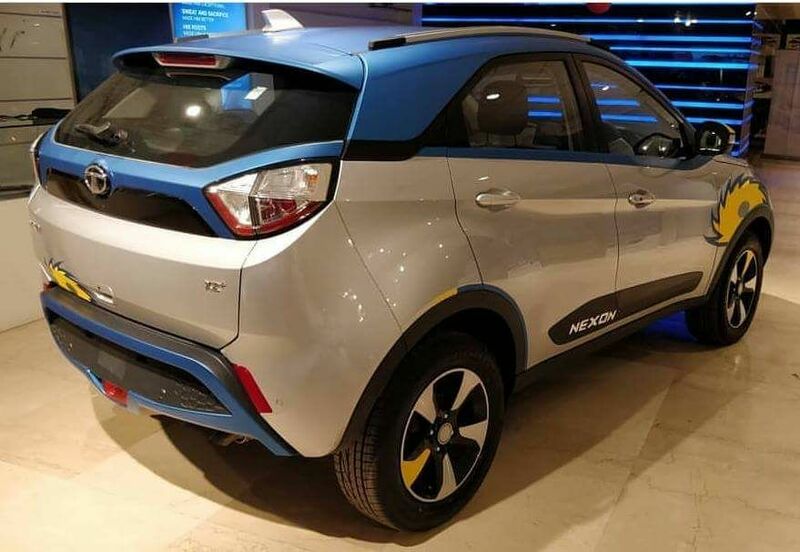 The Tata Nexon features are built with a strategy to rule the sub-compact SUV segment, and it will definitely offer a tough time to Maruti Suzuki Vitara Brezza, which is currently the best in the segment. Would you look at that! 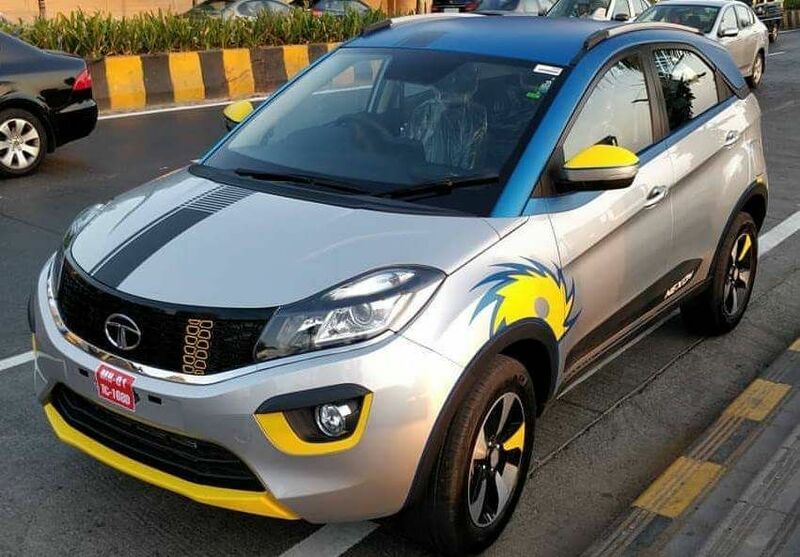 A Mumbai Indians IPL edition of the Nexon has been spotted in Mumbai... Looks like it's based on the XZ+ variant. What do you think of it? 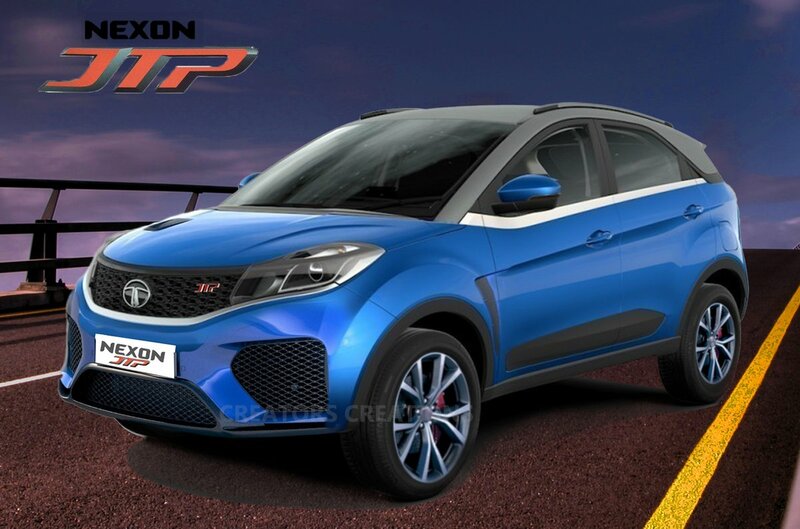 Another IPL edition based on the Nexon XZ+ variant! What do you think of it? 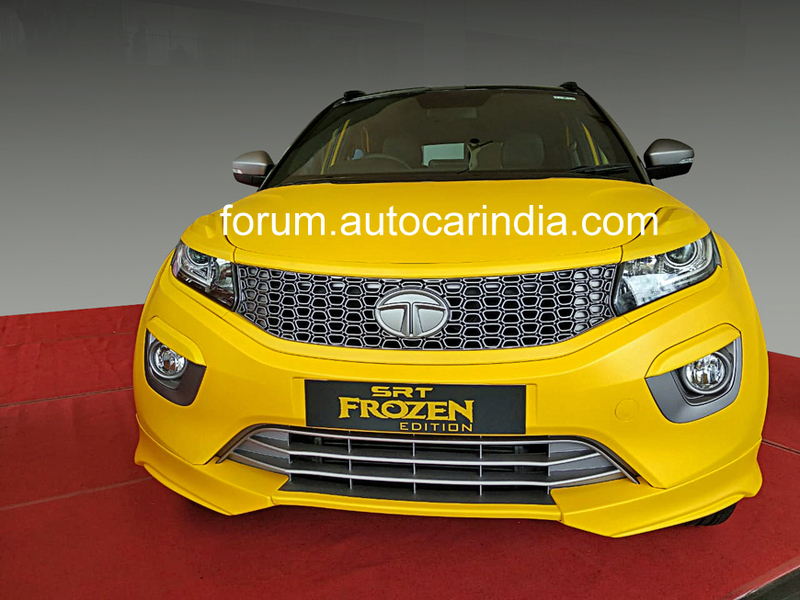 Tata Dealer in Coimbatore, SRT motors has created this one-off SRT Nexon Frozen edition with custom upgrades inside out. 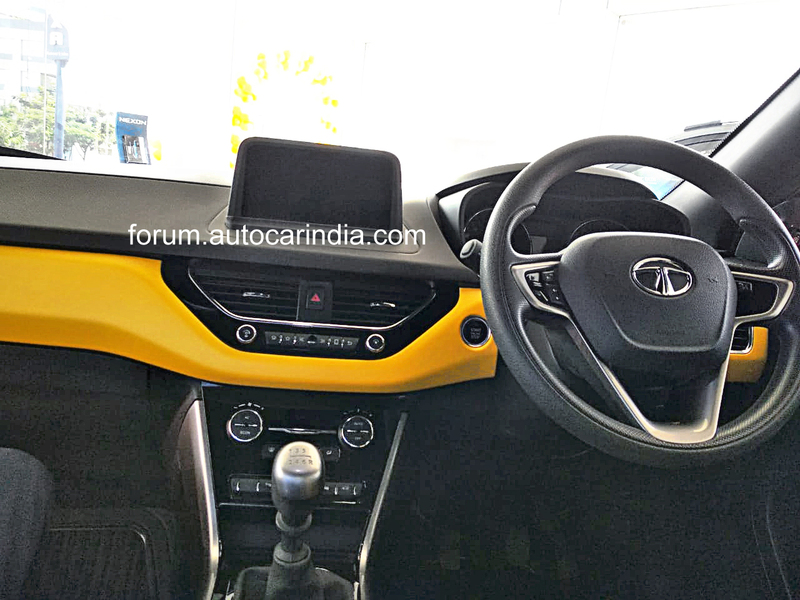 Check out some exclusive pictures. Great pictures and the ride, does stands out. I had yellow WagoR and it was damn popular among kids. If the custom job, on the Nexon, is good, only then it’s worth it. 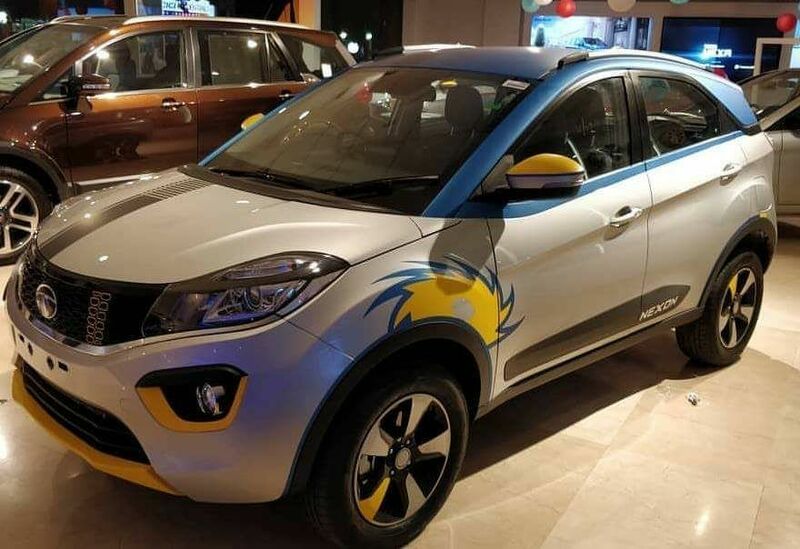 Tata recently launched special-edition Kraz and Kraz+ variants, with prices ranging from Rs 7.16-7.78 lakh for the petrol and Rs 8.09-8.65 lakh for the diesel. 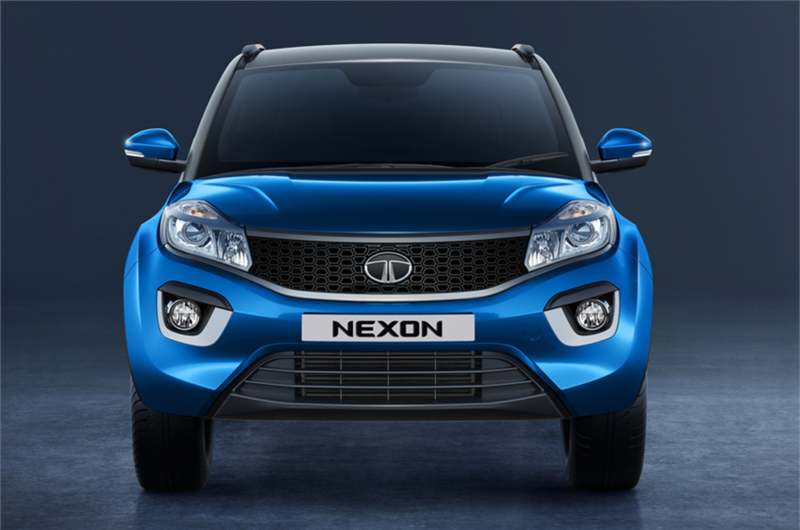 On the outside, the Nexon Kraz and Kraz+ feature a new dual-tone black paint scheme with a silver roof + neon green highlight inside and out. 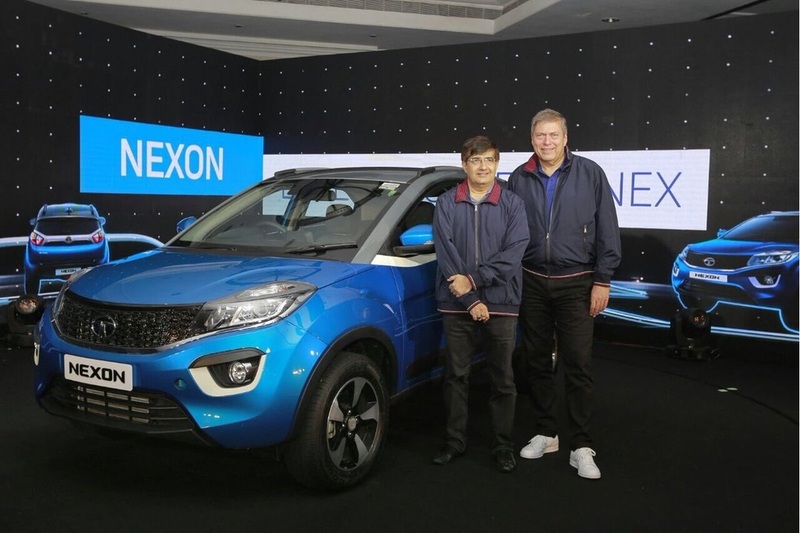 Compared to the XM variant, the Nexon Kraz is better-equipped and adds a four-speaker infotainment system by Harman with Bluetooth compatibility, steering-mounted audio controls, electrically adjustable wing mirrors and reverse parking sensors. Additionally, the Kraz+ gets roof rails, power-folding wing mirrors, a cooled and illuminated glove box and an automatic climate control system with rear AC vents. 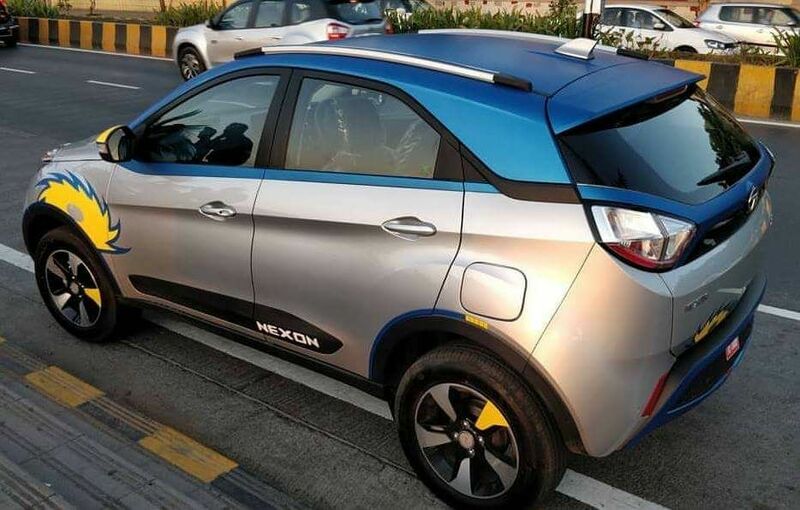 Pretty neat looking accessory kit (called Red Rhino 2.0) for the Nexon here. The kit comes with a number of cosmetic mods - all the chrome bits on the car's face now get a gloss black finish. 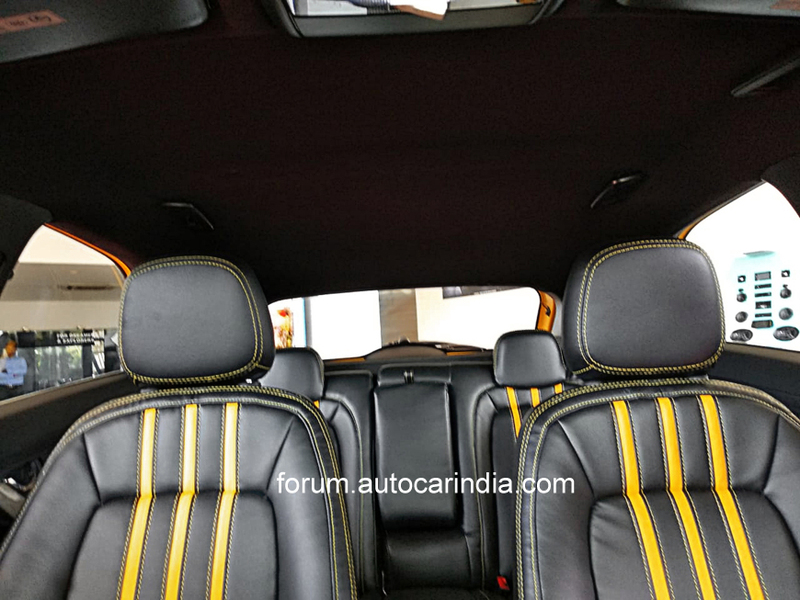 It also gets red highlights on the grille,a blacked out belt line, a red boot lid holder, red inserts on the alloy wheels, the upper part of the headlamps have been blacked-out and there's even a red stripe that runs from the A-Pillar to the C-Pillar. Additionally, the bumper gets underbody winglets as well.